Thursday, October 22 at 6:00 p.m. The Old Globe will present a free, one-night-only event, Barry Edelstein In Conversation with Michael Riedel, on Thursday, October 22 at 6:00 p.m. Broadway wouldn’t be Broadway without Michael Riedel, whose years as the New York Post’s theatre columnist and “Theater Talk” co-host have shown him to have unparalleled wit, powers of observation, and even influence. This sure-to-be-intriguing chat between Old Globe Artistic Director Barry Edelstein and Riedel will explore the current state of Broadway and the American theatre, and a few inside stories from Riedel’s new book, Razzle Dazzle: The Battle for Broadway. It takes readers through the fascinating history of a transformative moment in the history of Broadway and New York City, when as much drama happened offstage as on, and the industry’s stars, producers, and mega-hits changed the very nature of the American stage. After the presentation, Riedel will also sign copies of the book, which will be available for purchase at the event. Michael Riedel, author of Razzle Dazzle: The Battle for Broadway. Photo by Anne Wermiel. Old Globe Artistic Director Barry Edelstein. Photo by Joseph Moran. 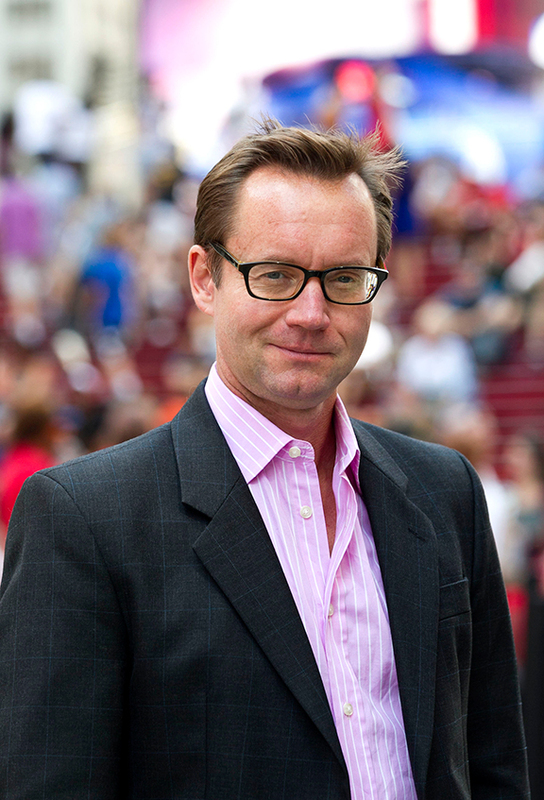 Michael Riedel has been a theatre columnist for the New York Post since 1998. He worked at the New York Daily News for five years before returning to the Post, and he has written for The Guardian, Harper’s Bazaar, Mirabella, Departures, and Commentary. 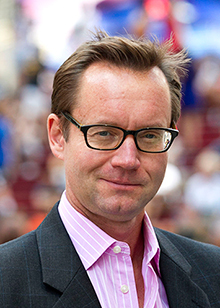 Riedel is the co-host of “Theater Talk” on PBS, is a contributor to the BBC, and has appeared on “Larry King Live,” “Today,” “Good Morning America,” and many other news programs. He lives in New York City. Razzle Dazzle is his first book. 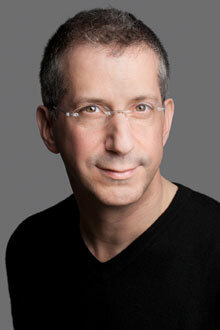 Old Globe Artistic Director Barry Edelstein is a stage director, producer, author, and educator. Widely recognized as one of the leading American authorities on the works of Shakespeare, he has directed nearly half of the Bard’s plays. His Globe directing credits include The Winter’s Tale; Othello; and the West Coast premiere of novelist Nathan Englander’s play The Twenty-seventh Man; and the upcoming world premiere of Michael John LaChiusa and Sybille Pearson’s musical Rain. He also directed All’s Well That Ends Well as the inaugural production of Globe for All, a new producing platform that tours the works of Shakespeare to diverse communities throughout San Diego County. As Director of the Shakespeare Initiative at The Public Theater (2008-2012), Edelstein oversaw all of the company’s Shakespearean productions, as well as its extensive educational, community outreach, and artist-training programs. At The Public, he staged Julius Caesar starring Jeffrey Wright for Shakespeare in the Park and The Merchant of Venice featuring Ron Leibman’s Obie Award-winning portrayal of Shylock. He was also Associate Producer of The Public’s Broadway production of The Merchant of Venice starring Al Pacino. From 1998-2003 he was Artistic Director of Classic Stage Company, where he produced and directed some of New York’s most memorable classical productions. Edelstein’s Shakespearean directorial credits include The Winter’s Tale with David Strathairn, Timon of Athens with Richard Thomas, As You Like It with Gwyneth Paltrow, and Richard III with John Turturro. His additional credits include the Lucille Lortel Award-winning revival of Arthur Miller’s All My Sons; the world premiere of Steve Martin’s The Underpants, which he commissioned; Molière’s The Misanthrope starring Uma Thurman in her stage debut; and the world premiere of novelist Nathan Englander’s play The Twenty-seventh Man. Edelstein has taught Shakespearean acting at The Juilliard School, NYU’s Graduate Acting Program, and the University of Southern California. His book Thinking Shakespeare (called by New York Magazine “a must-read for actors”) was published in 2007 and is now the standard text on American Shakespearean acting. He is also the author of Bardisms: Shakespeare for All Occasions.